You have a network. It has anywhere from dozens to thousands of switches, routers, and so on. What happens when you need to make a global change, where every network device has to be touched to bring the network up to snuff? Do you put on a pot of coffee, crack your knuckles, log in to device 1, and start typing? Probably not. You need to automate. Our guest today is Sal Rannazzisi, a director-level network geek at a big pharma company. Sal needed to update around 25,000 devices. 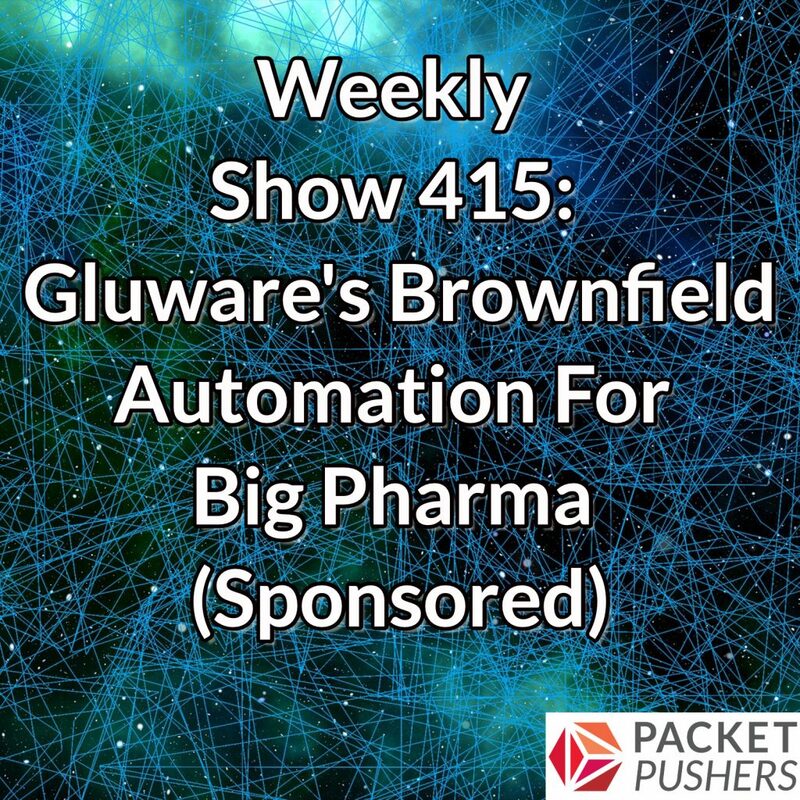 He’s got experience with many different automation tools, but settled on Gluware, who is our sponsor for this episode. Also joining us is Mike Haugh, VP of Product Management at Gluware. We talk with Mike to level-set on the state of network automation and get a high-level overview of Gluware’s automation suite, including multi-vendor support. Then we drill down on Sal’s experiences with automation tools and products. Sal describes his network (one of everything from Cisco), reviews the problems he was trying to solve, and then shares how he tested Gluware and brought it into production to provision devices and standardize configurations.